Taking recreational drugs such as cocaine or marijuana may not have a positive effect on the performance of a football player but it is still illegal and often leads to punishment from the players’ club, in addition to the governing body of the league or country in which they play. These cases don’t always come to light. A 2010 study by Sporting Intelligence noted that of the four players banned for marijuana use by the English Football Association between 2004 and 2010, just one was named. A further eight warnings were handed out to unnamed players without further punishment. But some haven’t been quite as fortunate. Here are five footballers who were punished for smoking marijuana. 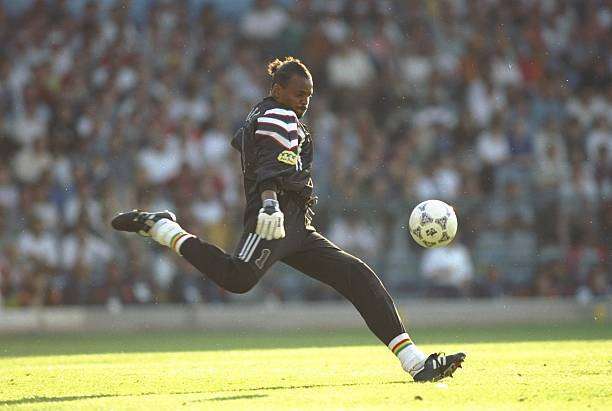 Bernard Lama enjoyed a successful career, winning a league title, two French Cups and the UEFA Cup Winners’ Cup with Paris Saint-Germain and making over 40 appearances for France at international level. But the goalkeeper lost his place at the club after receiving a two-month ban from the French Football Federation in 1997 following a positive test for cannabis prior to France’s friendly against Netherlands in February of that year. In doing so, he became the eighth French footballer to have tested positive for marijuana in a two-year period. After his ban and a brief time at West Ham at England, Lama returned to PSG and regained the number one jersey for a couple of seasons before seeing out his career at Rennes.